Earth tunnel boring machines work around the clock and are subjected to the most rugged and hazardous environments. Highly flammable fuels, oils, and hydraulic fluids flow through pressurized lines within inches of super-heated engine blocks, manifolds, and turbochargers. 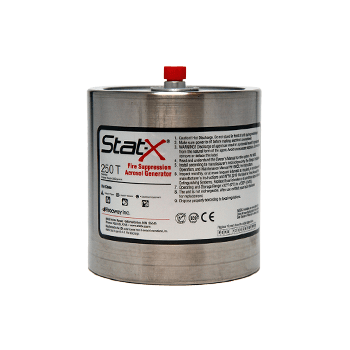 Stat-X fire suppression systems are used in the motor and electrical control spaces for the engine. Total flooding fire suppression should be installed within all critical enclosures. Our Stat-X suppression systems are currently used globally to protect enclosures on many of these large machines.